What does Iskender mean, details, origin, short & easy attributes? Iskender pronunciation in 20 different native languages. A compound Greek name composed of the elements alexein (to defend, to help) and andros (man): hence, “defender or helper of mankind.” The name was borne by Alexander the Great (356—323 B.C. ), a Macedonian king and military conqueror who helped spread the Greek culture across Asia Minor to Egypt and India. Iskender is baby boy name mainly popular in Christian religion and its main origin is . Iskender name meanings is Defender, helper of mankind. Other similar sounding names can be Alexander. Popular personalities with Iskender Name. Their military service ended in 1861. 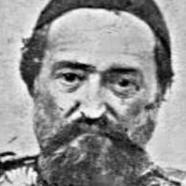 Iskender was born in 1814 in Yilina. Iskender is also known as Mehmet Yskender PaYa (Turkish). They breathed their last breath in 1861. 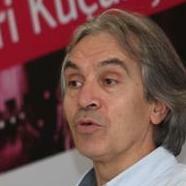 Yskender Pala is a reference, history, and historical romance writer. They were most active from 1987 to present. Yskender was born Yskender Pala on June 8th, 1958 in UYak. Iskender Alptekin was a politician and musician. Iskender was born on August 29th, 1961 in Kafro Tur Abdin, Turkey. He left this life on May 18th, 2010. Yskender Koksal is an athlete for the Kocaeli Birlik Spor and BeYiktaY J.K. Yskender was born on August 22nd, 1981 in Istanbul. Yskender Genc is a sports team member for the Beylerbeyi S.K.